It all started with that simple question from a friend. My friends know I am a complete health, nutrition and diet freak. While some people like to devour cookies, I devour research, information and studies on nutrition, supplementation and how to live an all natural, healthy and happy life. At first my friends thought I was a little crazy for being so obsessed with all things diet, nutrition and health. The thing is, as time went on my friends started to notice something. They were putting on a few extra pounds, feeling fatigued, having trouble sleeping and racking up sick days like they were going out of style. What did they think was causing their problems? Aging. They were getting older, the body was slowing down and there was just no way to avoid these health problems. There was only one problem with this answer to their problems…ME! I of course was aging as well, but I was not putting on the extra pounds, feeling wiped out or having trouble sleeping. I was feeling great and healthy – inside and out. So if aging wasn’t causing their problems, what was? What was my secret? Now my friends were getting really interested in all this health and nutrition stuff that I was always blabbing on about. I was the guinea pig and they were liking what they were seeing. Vitamins From Food, Not From Pills! How Do Whole Foods Fit in A Pill? I admit it, my friends could be a little a slow on the uptake…but I couldn’t blame them, with the diet they were eating, they were starving their brain of nutrients! You see, the pills, powders and capsules I take from time to time are not some synthetic vitamin made in a lab. I only take Whole Food Supplements. Whole Food supplements are supplements made from whole foods. See, this isn’t that complicated J There are certain natural plants, herbs, fruits and foods that we just can’t find in a local fruit market. So what I do is look for supplements – in pill, powder or capsule form – that are made from these 100% natural whole food sources. The reason I supplement my diet with these whole food supplements is that they are absolutely packed with nutrients. They have everything including vitamins, minerals, phytonutrients, mirco nutrients, macro nutrients and trace minerals. The closest thing to a magic pill? Eating what Mother Nature has given us! You Can Get Enough Vitamins Just From Food? Absolutely! There is absolutely no reason to take synthetic vitamins. Now, depending on where you live and the access you have to fresh foods and fruits, you may need to take whole food supplements to get some of the vitamins you need. For example, I take a Desiccated Liver Supplement to help with my Vitamin A and Iron levels. The supplement I take is made from 100% Grass Fed Argentinean Cows and is all natural. When I take my Desiccated Liver pills it may look like I am just “popping some vitamin pills”, but in reality I am increasing my intake of Vitamin A and Iron by supplementing my diet with whole food supplements. What Whole Food Supplements Should I Take? Now you are getting the picture. Stop thinking about what vitamins you should take and start thinking about what whole food supplements can naturally provide the vitamins and minerals you need in your diet to be healthy. I have two goals with this site. 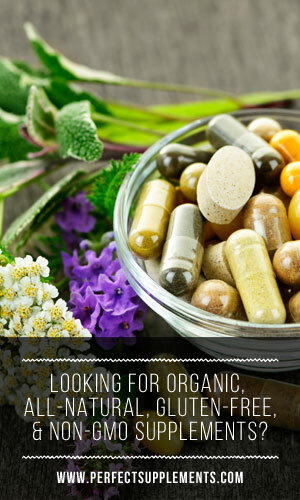 The first is to share information on what whole food supplements work. I will hold nothing back and tell you exactly what works, what brands to take and how to look and feel your best. Why Is Eating High Fat Coconut Oil Extremely Healthy? My second goal on this site – to help you avoid Dirt on The Rocks! Years ago, Dirt on The Rocks is what my daughter would call anything that did not live up to the hype. A toy that was not as fun as in the ads, well that she said was like “dirt on the rocks!” A movie that was worse than the preview…yep, more Dirt on The Rocks. That was many years ago, but in our family Dirt on The Rocks became an expression for anything that could not live up to the hype. Unfortunately, in the vitamins, minerals and supplement world there is a whole lot of Dirt on The Rocks! In addition to sharing research, information and clinical studies on the best whole food supplements (jam packed with vitamins and minerals) I will also be letting you know when there is Dirt on The Rocks that needs to be avoided. After all, we want to fill our body with healthy vitamins, minerals and nutrients…not a bunch of dirt on the rocks! Read our full report – What Vitamins Should I Take For Energy? African Mango vs Green Coffee Bean – Which One Can Help You Shed the Pounds? The Best Hydrolyzed Collagen Powder, Crushed Bones For Everyone! What Vitamins Should I Take For Energy? © 2019 The Dirt on Vitamins, Health and Nutrition. All rights reserved.